Long-term success in documentary-making is best supported by a good grasp of legal basics. This Legal Q&A answers one question: What are some of the key areas of legal understanding that are important to a sustained career as a documentary producer? Producers often form business entities to run all of their productions, rather than doing so as an individual person. Or, they might set up a single-purpose business entity for each production, or a combination of both. These entities employ individuals (often including the individual who founded the entity), and they develop, produce, finance and distribute the production as agents of the entity. Most of these business entities are "S" corporations (to use tax nomenclature) or limited liability companies ("LLCs"), as opposed to partnerships or another corporate form. Limited liability companies and "S" corporations are both regarded as "pass-through" entities, which means the entity itself is not subject to income tax. Instead, the investors or owners are taxed individually after reconciling their shares of profits and losses on their personal tax returns. As a result, the investors or owners benefit from available tax deductions and pay taxes only at the individual level, rather than at both the corporate and individual levels. Organizing a business entity also makes it easier to share ownership. Collaborators, financiers and other key players can acquire stock in an "S" corporation or become "members" of an LLC that owns the production. An LLC, however, offers more flexibility in several ways. For example, it allows greater flexibility in structuring financing, in contrast to "S" corporations, which are limited to a single class of stock. Also, LLCs allow other LLCs, corporations and partnerships to become members in addition to individuals, both foreign and domestic. Ownership of stock in "S" corporations is limited to individuals who are US taxpayers. Another key benefit to establishing an "S" corporation or an LLC is personal liability reduction. If all transactions are done by the business entity, rather than by its owners, investors and employees in their personal capacities, and the business entity maintains distinct records and accounts, then generally only the business entity will be held accountable for damages, should there be a company default. (One exception to this rule, however, is when individuals are asked to sign personal guarantees of the business entity’s financial obligations, in which case they will assume that responsibility.) This legal shield, however, applies only to contractual obligations and not to criminal activity or torts, for which responsible individuals can almost always be held accountable separately from the business entity. A "tort" is a liability that arises under law, rather than under contract. Examples include injuring someone, either intentionally or through negligence. Liability for copyright infringement, trademark infringement, violation of the rights of privacy and publicity, and defamation all fall in this category. Risk-reduction generally comes in the form of errors and omissions insurance, covering both the business entity and its officers, directors and employees, among others. This coverage doesn’t avoid liability but absorbs much of the cost of defending a lawsuit and, in the worst scenario, of being found liable and paying damages. A clean chain of title is important both for purposes of monetizing a documentary and protecting it against infringers. Distributors, exhibitors, platforms and most others looking to acquire substantial rights in a production will check the chain of title. Just as when a physical piece of property is offered for sale, buyers will decline to make a deal if the chain of title showing ownership of the property is questionable. Also, should the documentary be copied without authorization in an infringement of its copyright, a clean chain of title—including registration of copyright of the finished production in the name of the producer—is generally a requirement for successfully pursuing a remedy in court. A chain of title begins with ownership of an idea, the treatment (if any), a script (if applicable) and the completed production itself, including all its variations. The producer—whether an individual or a business entity—should be able to establish clear title to all of that intellectual property. This sometimes is accomplished by written assignment from third parties who don’t work for the producer. But generally it happens through work-for-hire agreements with individuals and third-party entities who work on the project at the request of the producer, including writers, crew, on-camera talent and editors. The effect of those agreements will be that the "results and proceeds" of those individual efforts will belong to the producer that employs them as if the producer were the author. Collaborations, which by definition involve effort by multiple contributors, require special attention. Joint efforts can result in joint ownership, rather than ownership by a single person or entity, and make both exploitation and protection against infringers more cumbersome (or worse), compared to having a solitary owner. The remedy here also involves agreements; a single producer—either an individual or a business entity owned by one or more collaborators or other individuals—can acquire full ownership of a project and all of its elements through written assignments and work-for-hire agreements. Collaborations also deserve special attention because of the consequences of a breakup. When collaborators part ways, who or what owns the intellectual property? Will there still be joint ownership, but only one person or entity in charge of finishing the production and exploiting it? Can a collaborator create a competitive project? Entering into collaboration agreements that address these questions is advisable from the very beginning of a project, even if enthusiastic partners would prefer to think of more positive topics than a divorce. Apart from steering around legal potholes relating to business structure and intellectual property ownership, it’s generally good advice for a producer who wishes to continue for the long haul to avoid lawsuits, either as a plaintiff or defendant. Perhaps the best advice for a producer in this regard is to choose with care those with whom one does business. If the other party to a deal has a poor reputation for integrity, there may be a good reason. Another good way to avoid lawsuits is to understand the terms of contracts. A producer who knows exactly what a contract yields or withholds is more likely to avoid the courtroom than one who doesn’t. This maxim applies on the giving side: What is the producer committing to do? Is the cash flow sufficient? Are the obligations reasonable? But it also applies on the receiving end: Is the performance expected of the other party reasonable and feasible? 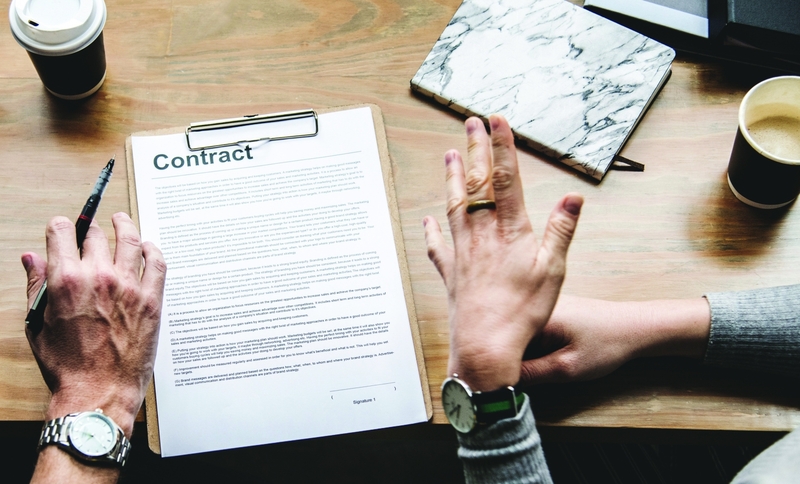 If contractual terms like "warranty," "indemnification," "holdback" or other customary industry terms are unfamiliar, the prudent producer will seek advice before signing. Obviously, lawsuit avoidance should also focus on the content of the production. Will it defame anyone by injuring reputation or invade privacy or publicity rights? Does it unlawfully capture a performance? Does it infringe copyright either by borrowing clips, music, photos or other third-party property? If fair use is claimed, does the production meet the strict criteria that apply to that defense? Although it’s a good idea to be familiar with legal standards that apply to these risk areas, obtaining a legal review is the most practical approach; in any event, that review is required for errors and omissions insurance. This coverage is not only a good way to reduce exposure to the financial consequences of inadvertent defamation and infringement of third-party intellectual property rights, but it’s also a necessary deliverable for deals with distributors, exhibitors and platforms. Other forms of insurance are also either advisable or necessary or both. General liability insurance, for example, protects a production against property damage and bodily injury to third parties who aren’t working on the production. Workman's compensation insurance covers bodily injury to cast and crew. Insurance isn't inexpensive, but it can avoid ruin, which is the opposite of sustainability. Managing Marketing and Distribution Activities. In the new marketplace for documentaries, a mastery of marketing and distribution is indispensable, particularly as the relationship between distribution companies and documentary producers continues to evolve. Given the hyper-competitive marketplace, a distributor’s decision to take on a film may turn on tangible marketing assets that can be marshaled by the producer. Critical praise and jury prizes may not be enough to seal a distribution deal if the producer does not have a marketing plan. Today’s leading distributors may seek institutional partnerships, extensive curated mailing lists and celebrity champions before making a commitment. Even financiers may want this validation before choosing to invest. Marketing and distributing a documentary is expensive and labor-intensive. Producers are being asked to shoulder more of this burden as distributors shrink away from obligations they assumed in the past. One example is the preparation of educational and community outreach materials; producers must often organize their own. As another example, distributors may expect producers to pay third-party publicists and social media teams beyond initial film festival campaigns and to take on more responsibility in launching semi-theatrical and theatrical releases. It's not just that they’re shirking; rather, the competitive marketplace, high costs and enormous effort required to market a film, coupled with uncertain returns, makes distributors increasingly reluctant to assume all responsibility. Producers must know what to do and how to do it in order to fill the void. The authors are partners at the law firm of Franklin, Weinrib, Rudell & Vassallo, which has more than 50 years of experience counseling makers of documentaries and other nonfiction works in every project phase. Find out more at documentarytoolkit.com.